Individually configurable, graphical reports for any requirements. Delight your users with appealing and fitting reports thanks to graphical reporting at the HMI. The extensive reporting possibilities are completely integrated in zenon and provide integration "out of the box". individual reports, whether batch reports, graphic alarm statistics, real-time production analyses or KPIs . Users can profit from quick access to correct information and figures. zenon Reporting offers you a complete overview and delivers all required reports per mouse click. What also applies here: simple operation enables perfect ergonomics. For reporting which goes beyond the HMI reporting and data analysis of entire plants or even across equipment and systems, zenon Analyzer completes the reporting with zenon. Calculate and display complex KPIs, compare time periods and integrate data from external sources. The zenon Analyzer processes and evaluates data from various sources - in real time. The distribution takes place automatically to the desired amount of recipients which you have determined. The reference of data from other programs and control systems also runs seamlessly using the zenon Analyzer. 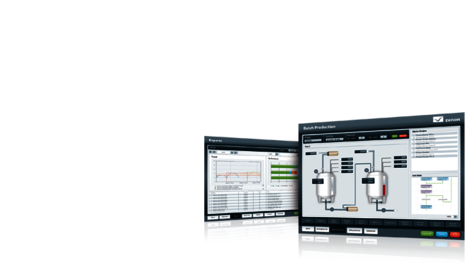 zenon offers ergonomically generated HMI/SCADA solutions including reporting to a great number of companies in the automotive, energy, food & beverage and pharmaceutical industries.